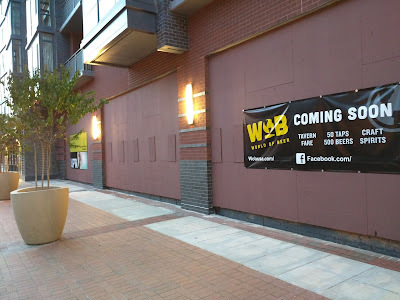 It's not news anymore that World of Beer is coming to The Upton luxury apartments in Rockville Town Center. 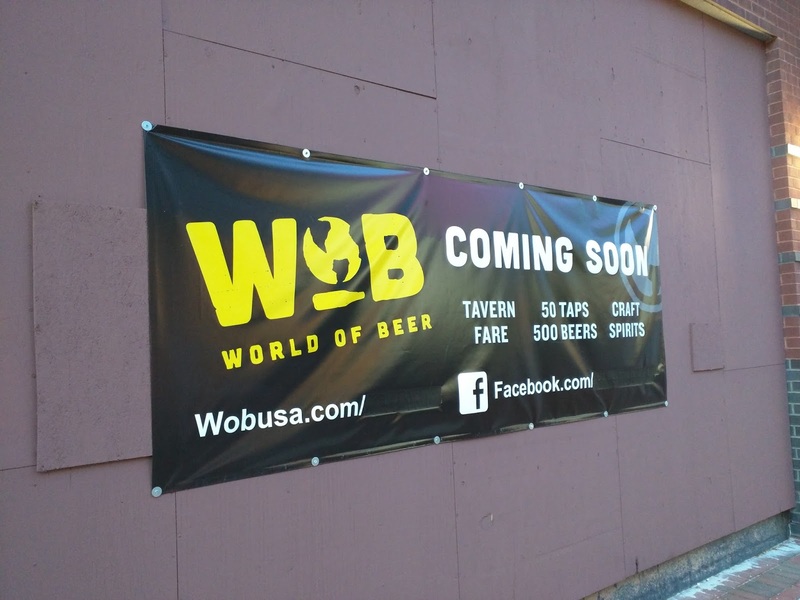 But the restaurant has put up its first official Coming Soon signage on its future space across from the Regal Cinemas. 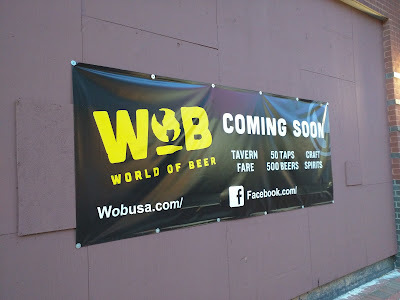 The sign is still promising 500 beers, and it will be very interesting to see if that is possible under Montgomery County's outdated liquor laws.